London Bees are pleased to announce the appointment of Luke Swindlehurst as Head Coach. Swindlehurst a former WSL 1 winner is known for delivering quality and performance improvement at both club and community level. He brings experience and enthusiasm with a CV which includes spells at Liverpool Ladies, Sheffield FC Ladies and Fylde Ladies FC. Luke has a proven history of working with elite level players up to international level. Luke moves from a college lecturing role with students in football studies and will make the switch into a full time football position with The Bees. He has the knowledge to bring new ideas into developing clubs and players. Swindlehurst’s coaching honours include FAWSL 1, FAWPL Northern League and FAWPL League Cup. 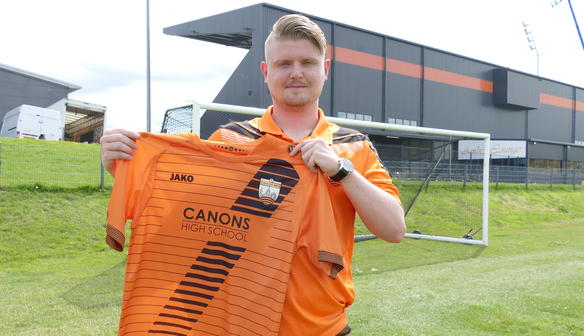 “We are delighted to welcome Luke to London Bees. After a lengthy selection process, it was clear Luke was the outstanding candidate who fitted in with the ambition and culture of the Club. “Luke is bright, ambitious, well qualified and has a clear vision for the team that fits into the existing ethos of the Club”. “I’m delighted to join London Bees and honoured to be a part of such a progressive and ambitious club. Having spoken to James it was clear from day one that London Bees have the drive and ambition to be successful in all areas. “I’m looking forward to meeting the players and getting pre-season under way and the challenge of a new season is very exciting for us”. Watch Luke Swindlehurst's side in action this season with a London Bees membership, click here for more information.